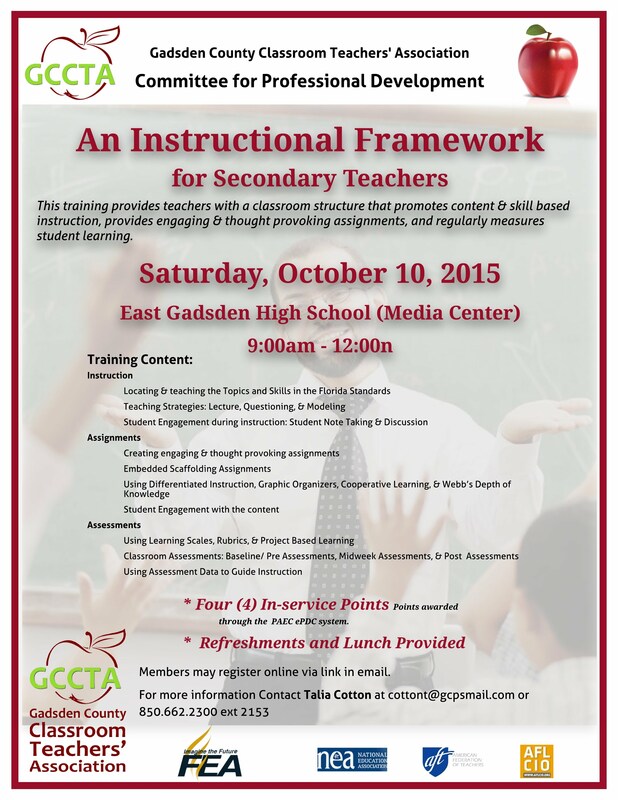 Professional Development - "Instructional Framework"
Trainer: Talia R. Cotton, M.Ed. To sign up for the training, CLICK HERE!! !